NordVPN Review | Is NordVPN the Best VPN in 2019? Home VPN & Proxy Is NordVPN Still the Best VPN in 2019? Since its launch in 2012, NordVPN has received a number of awards from many prestigious magazines and online publications for its strong security, excellent global coverage, and attractive prices. However, we’re now in 2019, and you can choose from more VPN services than ever, so many people are asking whether NordVPN is still the best VPN service for those who want to enjoy the internet without anyone monitoring their online activity. NordVPN has always been affordable. At the moment, you can purchase its 3-year plan for $107.55, which means that you get to pay just $2.99 for a month of service. You can, of course, also pay on a monthly basis, but the price of the monthly plan is $11.95. NordVPN’s biggest competitor, ExpressVPN, starts at $8.32 per month when billed every 12 months. There are VPN services that cost even less than NordVPN, such as Private Internet Access, but don’t expect to save more than a dollar each month. In the case of Private Internet Access, you would save only 8 cents, which is basically nothing. It’s also worth noting that NordVPN offers a 30-day money-back guarantee, whereas many other affordable VPN service providers, including Private Internet Access, offer only a 7-day money-back guarantee. NordVPN accepts all kinds of payment methods, including credit cards, debit cards, cryptocurrencies, and several online payment platforms. Overall, NordVPN continues to deliver exceptional value at a very affordable price, making it perfect for all VPN users who want uncompromising security without paying too much for it. As one of the largest VPN services in the world, NordVPN has an outstanding global presence, with more than 5,200 servers located in 62 countries. Having so many servers to choose from allows you to easily bypass geo-restrictions and access websites that wouldn’t otherwise be accessible from your location. It also means that slowdowns and connection drops are very rare even during peak hours. You can switch between different server locations simply by clicking on markers on a map in the NordVPN app. Regardless of which location you choose, you can expect fast speeds and low latency. Unlike many other VPN service providers, NordVPN doesn’t limit the activity of its customers in any way. You can download torrents and stream online movies to your heart’s content and always benefit from NordVPN’s military-grade encryption and cutting-edge ad-blocking features. By default, all NordVPN apps implement something called SmartPlay technology, allowing you to enjoy safe streaming experience with no buffering, bandwidth throttling, or slow speeds. With SmartPlay, you can access content on websites that otherwise would not be available to you. From Netflix to Hulu to various free online streaming sites, NordVPN has something to offer to everyone. Even the best features can’t redeem a VPN service that doesn’t deliver outstanding security. NordVPN passes with flying colors in this regard. It has a strict no logs policy, and it doesn’t have to obey any data retention laws because it’s located in Panama, a country that does not participate in the Five Eyes or Fourteen Eyes alliances. NordVPN takes a lot of extra steps to keep your IP address hidden that many other providers of VPS services don’t take. For starters, it uses double encryption to create an extra layer of privacy by connecting you to one VPN server, redirecting your traffic to another server, and, finally, connecting you to your final destination. Because the second VPN server isn’t aware of your real IP address, your identity is 100 percent safe even from NordVPN. At the moment, NordVPN offers the following server combinations: Canada-US, Netherlands-Russia, Sweden-Netherlands, UK-France, UK-Netherlands, and Taiwan-Hong Kong. Visit this page for a full list of all server locations. Even though NordVPN is widely considered to be an exceptionally reliable VPN service provider, there’s still a chance that you will experience a minor connection drop from time to time, and you might not even notice it. The problem with connection drops and VPNs is that most devices, including Android and iOS smartphones as well as Windows and Mac computers, quickly establish an unprotected connection in the event of a VPN connection drop, revealing your identity to your internet service provider. NordVPN prevents this from happening with its automatic kill switch feature, which blocks your device or terminates certain programs from accessing the internet outside the secure VPN tunnel, protecting your online activity and IP address from being suddenly exposed. What’s more, NordVPN has implemented a DNS leak protection technology, ensuring that your system won’t for some reason revert to its default DNS servers and let your internet service provider know what websites you’re visiting. NordVPN has polished apps for all popular operating systems, including Windows, macOS, Linux, Android, and iOS. You can additionally install NordVPN as a Chrome or Firefox addon and set it up on Android TV and Amazon Fire TV Stick. The Windows client is available directly from NordVPN’s website, while the clients for macOS, iOS, and Android are available from their corresponding app stores. All clients let you quickly establish a secured VPN connection with a single click or tap, with NordVPN’s advanced algorithm taking care of everything for your and automatically selecting the best possible server option. 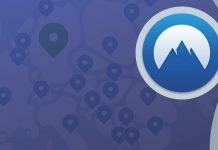 All in all, we’ve found all NordVPN apps to be easy to use, fast, and stable. Even the browser extensions work great, allowing you to connect to your preferred location with a simple click right from your web browser. Even in 2019, NordVPN remains an excellent VPN service that we can wholeheartedly recommend to anyone who doesn’t want to share their online activity with unauthorized third parties nor let geo-restrictions make websites inaccessible. NordVPN much more affordable than most other popular VPN services, yet it offers many best-in-class features as well as unmatched security. With a single NordVPN subscription, you can secure up to 6 devices, which should be enough even for the most demanding users out there.